I first found Roth at a clearance sale of, I think, Om Book Shop in DLF Phase 3, Gurgaon. It wasn’t called Gurugram then. Must have been 2008 or 09. I was excited that a hardback was going so cheap. I hadn’t read Philip Roth but my pretentions were on point. I liked buying books for their covers. Books had to look good and smell good. The font had to be big but not too big. And the more unfamiliar the name of the publishing house, the cooler I felt. Everyman, black jacket, white font, publisher: Houghton Mifflin Company — it looked good. It was also slim, could be demolished in one sitting, and so it landed on my meagre bookcase in the National Capital Region. With it, Daniel Handler’s Adverbs, publisher: Ecco, also hardback, and Paul Auster’s The Brooklyn Follies, publisher: Henry Holt & Co, also hardback. A good haul, but I didn’t fully know it then. With books, for some time now, I’ve been operating on a mixture of gut feeling: my own, and recos from folks I trust to not give me rubbish tips. I read Everyman, and it piqued my interest in the writer. I managed to even impress and possibly confuse an older colleague, a Roth fan, who may not have taken me for a Roth reader, forget fan. Was I assumed too young to be interested in or even fully assimilate his ideas of mortality? Who knows. One time, a couple of years after the Om Book Shop haul (I had since got myself more of Roth), I got late for my close friend’s wedding engagement because I needed to finish The Dying Animal. Another a slim book, also about mortality, among other things. I had to finish it before getting dressed, before shoving a giant white gerbera daisy in my up-done hair for the festivities. I was sure I could do it, finish the story of the young Cuban knockout Consuela and the middle-aged (loser?) Kepesh, and then drive like a loon to the venue where a DJ would belt Punjabi pop, and two people would declare their intent to seal their fates. Which is what I did, and what they did. I don’t know Roth like some people do. The antics of Jewish adolescent boys are of little interest to me. I haven’t yet gotten around to his epochal works of his 30 or so books. I doubt they’re all up my alley. I’m interested in the mortality-dark humour writings, less so in his writings of where America is headed. When the news of Roth’s death came in on Wednesday morning, I didn’t have a quote from Sabbath’s Theatre or Portnoy’s Complaint rolling off my tongue. 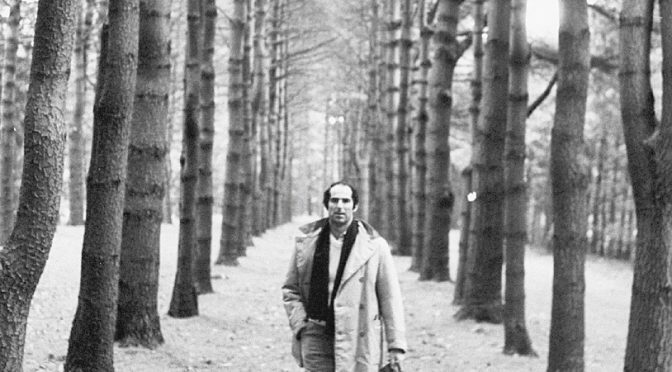 Not that that stopped me from retweeting: “He had learned the worst lesson that life can teach — that it makes no sense.”— #PhilipRoth, American Pastoral. But as a reader of just a handful of his books, I felt sorrow. Mortality is a pesky thing. Damn death is a pesky thing. How can this be, why is everyone being tapped on the shoulder? (My old dentist and a family friend I adored beat Roth this week to the finish line). I got what someone on Twitter meant — about the need to find Don DeLilo and wrap him in bubble wrap, lest the death squad get to him next. There is an unreasonableness to why and who we mourn. Roth, 85, was retired. No one was expecting any more staggering works of any sort of genius. He himself was set to call it a day. In his last interview to The New York Times, he said, “I know that it (life) can stop on a dime. It’s something like playing a game, day in and day out, a high-stakes game that for now, even against the odds, I just keep winning. We will see how long my luck holds out”. To feel sorrow at the passing of a writer is — yes, yes, an awareness of our own mortality, time running short, all that — but is it not also a manifestation of love? An acknowledgment and a thank-you for the influence they’ve had on our minds? In shaping, in however small a way, our inner, most intimate lives? I think so. One thought I had was: thank god for my relative Roth illiteracy because, as with authors now dead, I feel this need to ration their books. If I went on a Roth spree and by, say, November 2018 demolished all his books, what would I do between then and age 85, or whenever I have to call it a day? Well, re-read him, I suppose. But it’s funny, this irrational need to squirrel away some books, writers. Also, it justifies slow-poke reading brilliantly. The last Roth I read was last year, The Professor of Desire. He’s so funny and what pathos simers in his writing. So much nuance. I do feel no one articulates the complexities of desire better than him. Or maybe they do and I just haven’t found hardback copies in a bookshop’s clearance sale yet. I had started reading the book last year at the airport, going on holiday, and I wanted to annotate chunks, words, observations, but I was out of paper in my notebook. Didn’t stop me. So, now what I have sticking out of the Vintage paperback are two white sleeves, the wrappers in which bakeries sell small baguettes. There’s text written with ball point ink on the front and back and two narrow sides of the two butter paper sleeves. There are no oil stains. Just paragraphs, quotes, lines with corresponding page numbers — all from the book, words this person wrote and now what some reader was on plane was transcribing onto whatever material was at hand. Previous PostLife is risky enough, why eat a fish that could kill you?Next PostAm I the only one who didn’t watch The Royal Wedding?